What is your strategy to respond to Insurtech? Yes, insurtech startups may be rivals and disruptors….but savy insurers are starting to recognize that insurtech start-ups can also be partners. The benefits of insurtech collaboration are substantial. While some carriers view the rise of insurance technology start-ups with trepidation, others have been quick to seize on the insurtech trend as an opportunity. Major insurers are some of the biggest investors in fledgling insurtech firms. Far from seeing these new companies as rivals, they’re embracing them as partners. The venture investment funds of prominent insurers such as AXA, Aviva, Allianz, American Family, MassMutual, TransaAmerica and Ping An, have made significant investments in insurtech start-ups. Recipients include PolicyGenius, NextCapital, CoverHound and Limelight Health. Funding of emerging technology firms by big insurers looks set to climb this year. Researcher, CB Insights, reports that insurers completed 20 investment deals in the first quarter of this year. The same group of insurers concluded only eight deals in the first three months of 2015. The shift to collaborate, rather than compete, with technology start-ups is gathering pace throughout the financial services industry. Investment in start-ups aiming to collaborate with established financial services providers jumped 138 percent last year. It accounted for 44 percent of the total funding for financial services technology, fintech, in 2015 – up from 29 percent in 2014. Start-ups looking to compete with financial services companies still attract the bulk of investment. However, there’s growing enthusiasm for co-operation among investors and start-ups. The extent of this support varies across geographic markets. In New York investment in collaborative start-ups accounted for 83 percent of total fintech funding while in London and the rest of the UK, where the regulatory environment is more conducive to new competitors, the proportion was only 10 percent. 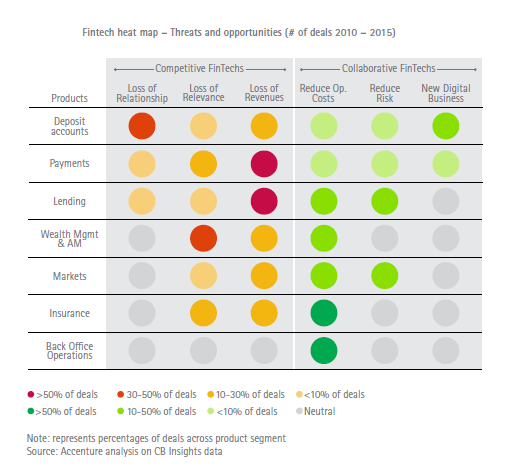 The illustration below shows the growing interest in co-operation across the financial services industry. Investors are increasingly supporting firms that can help established service providers reduce costs and risk and capitalize on new markets. This trend is only beginning to affect the insurance industry. But as the insurtech sector grows it will become much stronger. Increasing co-operation between insurers and new technology firms is a sure sign of the growing maturity of the insurtech sector. Many major carriers no longer worry that insurtech firms might erode their business. Instead they’re eager to benefit from the new insights, attitudes and technology they bring to the industry. In my next blog post, I’ll discuss the shift in fintech funding to developing economies and explain why this is good for insurers. Meanwhile, have a look at these links. I think you’ll find them helpful. 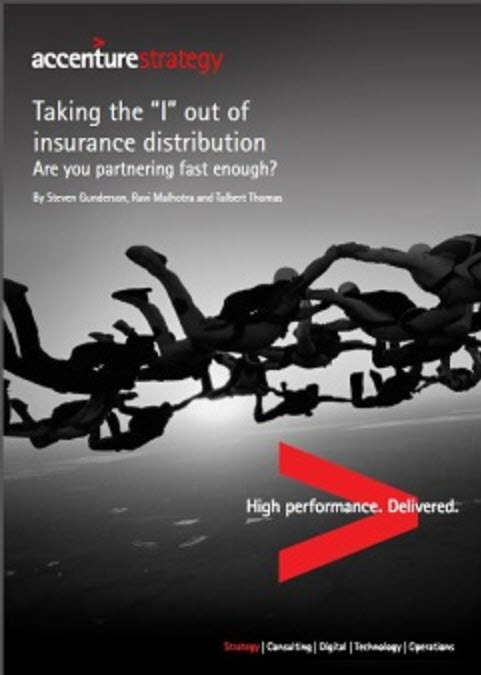 New entrants—more customer-centric and digitally sophisticated than most established carriers—are transforming the way insurance is bought and sold.